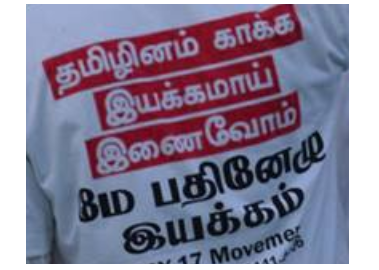 Today (25 Jul 2010) verious tamil activist organisations participated in the protest organised by MAY17 movement and TAMILINA PAATHUKAAPPU to “Boycott Airtel” for its support of Srilanka during the war against tamil that killed 1.5 lakh innocent tamils. 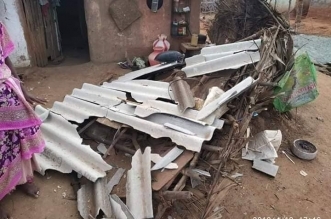 The May17 movement and Tamilina Paathukaapu Koottamaippu earlier on June 11 called for Boytcotting Airtel’s services and asked tamils to reject and surrender the connections. The Boycott is meant for Mobile services, Landline connections, Broadband & satellite televisions. In this veiw the first phase of disconnections is called on Black july and was organised on 25th of July. This protest is the begining of the boycott and the organisations called people to continue their protest int he coming months. They can submit their disconnections on coming Sep26th (Dilipan’s Day) & other significant days meant for tamileelam freedom struggle. Earlier the movements jointly opposed the FICCI’s Global Business Forum in Srilanka on June4th. And the organizations expressed their dissatisfaction on investing in srilanka and bringing Srilanka into a profitable investment country to Indian business community. They expressed their commitment to protest against the Products of the FICCI’s members if they still conducting such a business meet in Srilanka. This was expressed through a letter handed over to FICCIs’ regional office in Chennai during the first week of May2010, an online petition was done to the senior officers of FICCI, and press statement was issued on 3rd of June 2010 to Mr.Rajan Barathi Mittel who is the head of FICCI. 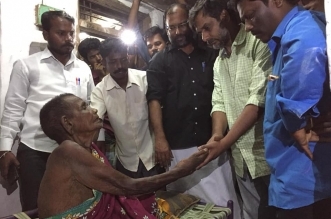 This protest drew wide and popular support all over tamilnadu and campaign was taken in areas like Tirunelveli, Ulundurpet, Chennai, Erode, Tirupur,kovai and other possible meetings by MAY17 movement & Tamilina Paathukaappu. A detail and sustained campaign was done by Tamil Desa Pothuvudamai katchi by Tholar.Tiyagu. and a 35 day march was conducted all over Chennai. 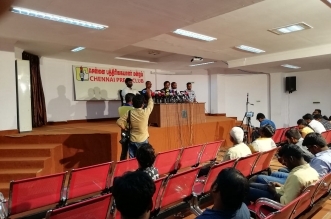 Their cadres had done a committed campaign in the suburb and trains and other densely populated areas of Chennai. Most other organizations covered the issue in their magazines and initiated the campaign to withdraw Airtel. MGR-‘ithayakani’ magazine and their cadres who love MGR done not only an article but met the leading artists to cancel the Aitel connections they have. This July25th protest held in Saidapet-panagal Maligai participated by Ayya.Pala.Nedumaran, Viduthalai Rajendiran of Periyar DK., Adv.Karuppan, Adv.Pa.Pugalenthy, Kayal- Tamil pengal Seyarkalam, Thabasi.Kumaran of Periyar DK, Tholar Barathi of Tamil desa pothuvudamai katchi, Tholar. Aruna Barathi ilanthamilar Iyakkam, Vijayan of MGR ithayakani magazine editor, Saravanan of Save Tamil group & others. ஏர்டெல் நிறுவனத்தின் சேவையை புறக்கணிக்கும் போராட்டத்தினை ஆரம்பிக்க அனைவரையும் அழைக்கிறோம். 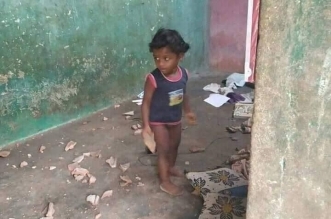 புறக்கணிப்பதன் மூலம் இதனை நாம் செயல்படுத்த முடியும். சிறிலங்கா இனவெறி அரசுடன் கைகோர்த்து வணிகம் செய்யும் ஏர்டெல் செல்பேசிச் சேவையை புறக்கணிப்போம். 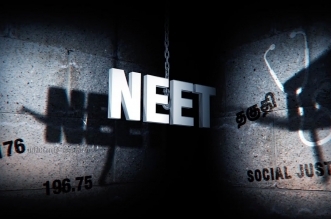 இனவெறி சிறிலங்கா அரசின் பொருளாதார முதுகெலும்பை முறிப்போம்.